Mrs. Purnima Pradhan, the wife of Dr. Pradhan, assisted by Mr. Bhaskar Raj Pradhan, a lawyer at Sikkim High Court. Briefing the media person at Siliguri Journalist Club Bhaskar Raj Pradhan, member of the trust said that main aims and objectives of the trust is to promote education, organize seminars, spread spiritual knowledge, holding literary programmes. He also noted that the first death anniversary functions will be witness by some 300 guests including media persons. 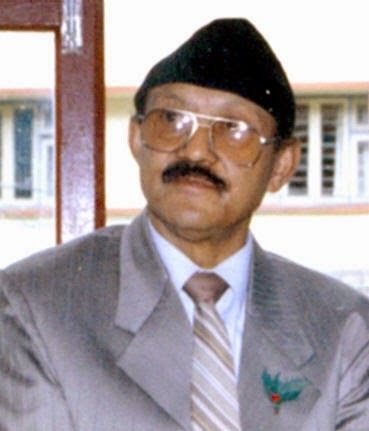 On this solemn occasion a book titled Kumar Kirti, prepared in memory of Dr. Pradhan and edited by Manprasad Subba, is being ceremoniously released. Kumar Kirti, the book-to-be-released, has four parts, the first one presenting the critiques on Dr. Pradhan’s different works, the second part consisting of memoirs by the well-known writers as well as some of the family members, the third part being the collection of articles in English while the concluding part giving the readers the taste of a few poems by Dr. Kumar Pradhan along with a couple of his uncollected essays on the history of Darjeeling and also a transcribed speech he delivered at Gangtok addressing a conference of Indian Nepali National Council. The first death anniversary of Dr. Kumar Pradhan, historian and critic, is all set to be observed on December 20 at Royal Palace Montana Vista, Uttarayan, Siliguri, by the Dr. Kumar Pradhan Memorial Trust set up in January 2014.